Photo Courtesy of My Car Fashion. Car accessories are often associated with boys and their toys. Mag wheels, powerful engines and velvet doorlines have always been about the bloke. Well, scrap that. That was the old world. Now car accessories are all about the ladies, lets call it feminism for cars. Recently, I was sitting at a cafe when I saw a pink v-dub with a set of eyelashes that would make the Kardashian sisters jealous. 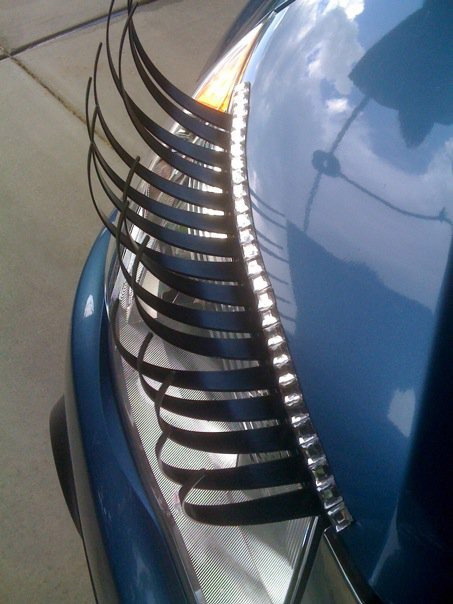 I was impressed, I had never heard of car eyelashes before, let alone seen a pair. 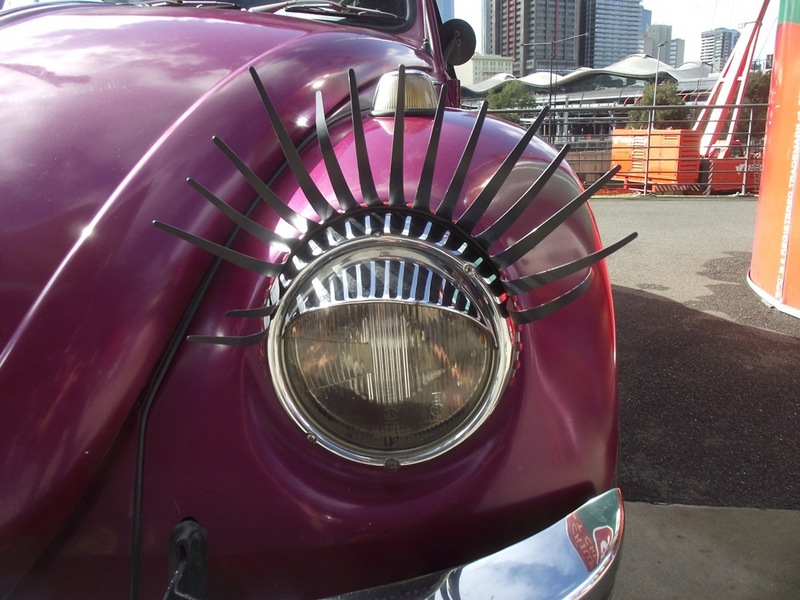 Intrigued, I decided to research car eyelashes and that's when I discovered My Car Fashion. My Car Fashion is an Australian owned company that sells to buyers worldwide. It caters mainly for women who are wanting to give their car some added bling. Recently I spoke to owner and director of My Car Fashion - Lisa Thornquest. Courtesy of My Car Fashion. When did you first discover car eyelashes? "I first got into the business in late 2010 when I saw them in America. I googled them and found them in China. I bought 50 sets and stuck them up on ebay. They started selling and I received a call from a magazine who saw them and wanted to do an article on me. That's when I created my website, so the link could be published in the article. These progressions boosted sales even more." And how about the other car accessories your company sells, how did you come up with that? "I thought about expanding into several other products that would allow females to bling up their cars and give their cars personality just like guys like to do. It was a fun way for females to turn heads on the streets and customise their cars with affordable fun products." 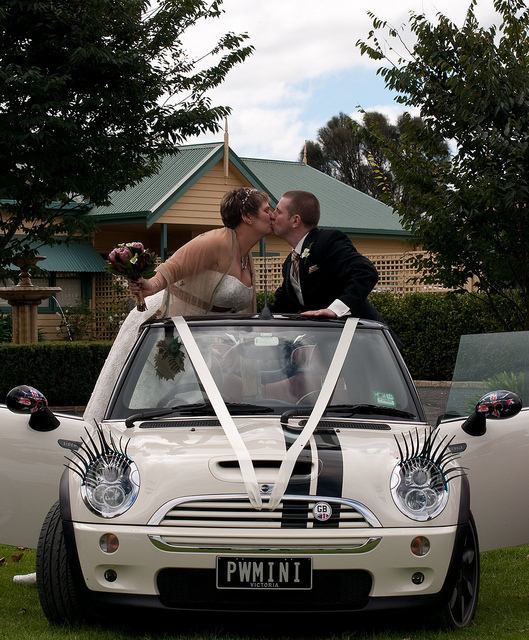 Do the car eyelashes and other accessories require a professional to install? "Not at all. All the accessories are easy to DIY and apply. They won't damage your car and they are waterproof. " Who are the majority of buyers of your quirky products? 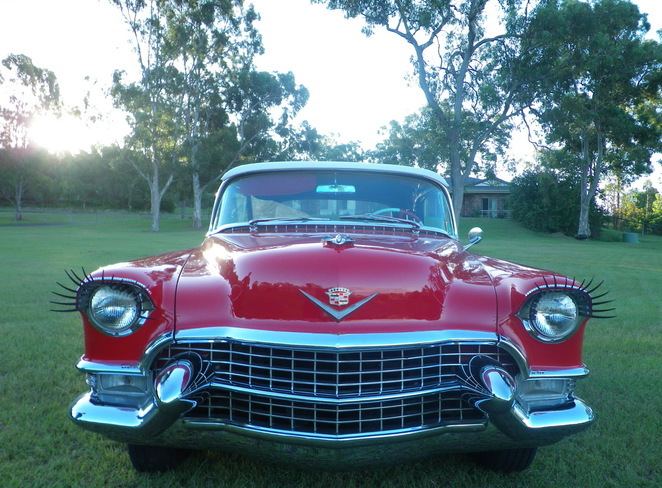 "To this day I still get orders from people of all ages from 18-70 who enjoy giving their cars personality. I've had people buy them for their Bridal cars and Hot Rod custom cars that enter them into competitions and always win." " Car eyelashes are my best selling product. Customers write into me raving about the reactions they get from passers-by that stop and smile and wave at them." Is most of your business Australian based? "I am based in Sydney and receive orders from all over Australia but also from around the World. I get orders from the USA, France, the UK and other unusual places such as Malta or Africa. I ship world wide and just love what I do. " What is the best way to purchase products from My Car Fashion? "Products can be purchased directly from the website." Why? Because every woman's car needs some bling.